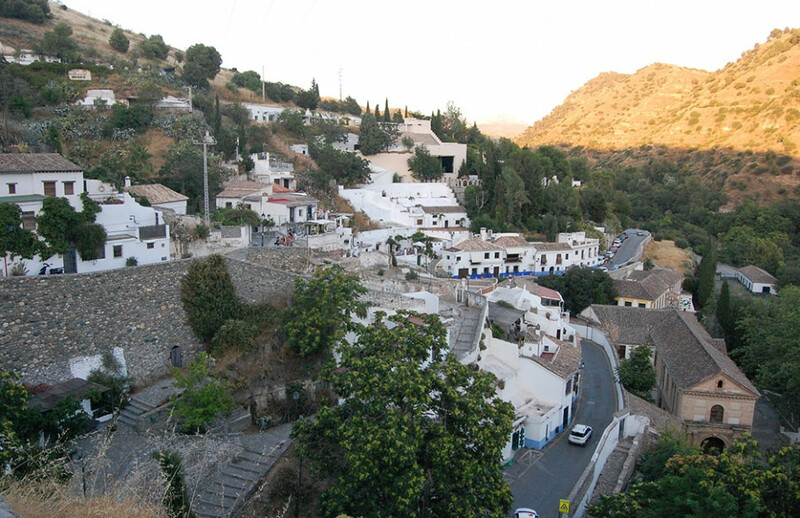 Join our Albaicin and gypsy Sacromonte twilight walking tour in one of our premium small groups. Enjoy the spectacular panoramic views of the Alhambra at night. Enjoy it as a local while allowing our trained tourism professionals to make a difference. April, May, August, September and October: daily 19:30 p.m.
June and July: daily 20:30 p.m.
November, December, January, February and March: 18:00 p.m. 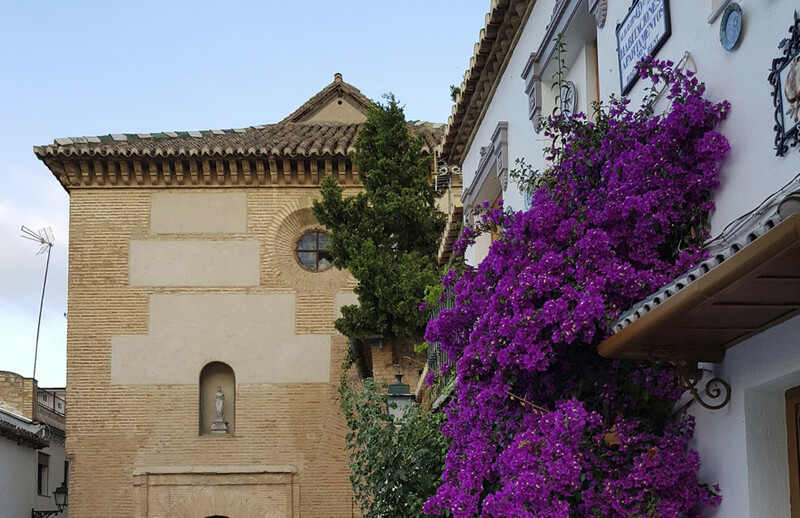 The Districts of the Albaicin and Sacromonte, both declared World Heritage Sites, are two of the most colourful, historic and enchanting areas in the city of Granada. Don’t miss out on any of its wonders by joining one of our small groups. We’ll make you feel pampered and ensure you have the best experience ever. Our very passionate and professional guides will have time for you and all your requests and questions. 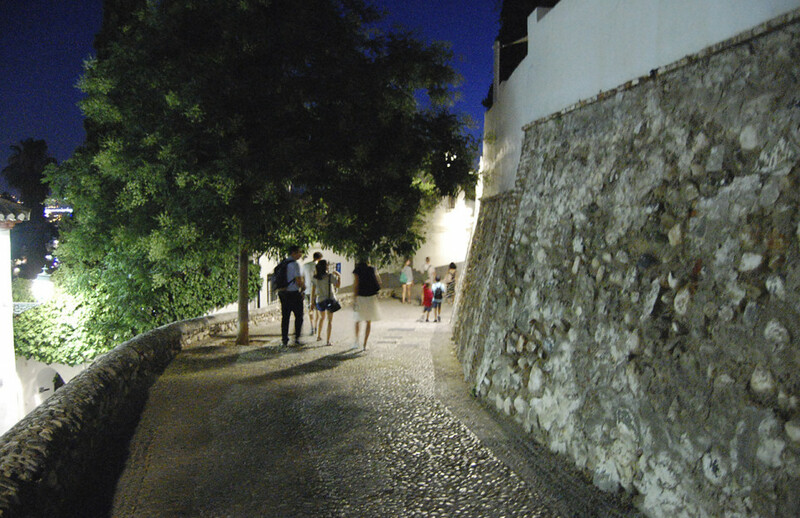 The Albaicin walking tour in the evening allows you to wander its narrow, jasmine-scented streets and enjoy the fantastic views of the Alhambra, to admire the gardens of the Cármenes (the traditional local houses) and is a pleasure for all the senses as well as a taste of the area’s Moorish origins. The Sacromonte district is the area settled by the gypsies who accompanied the troops of the Catholic Kings in their conquest of the city. It is famed for its cave houses, where the descendants of those gypsies continue to celebrate their traditions with dances and songs. The traditional Zambra was born here, a local variety of songs and dances that are still performed today. Our route starts at sunset. 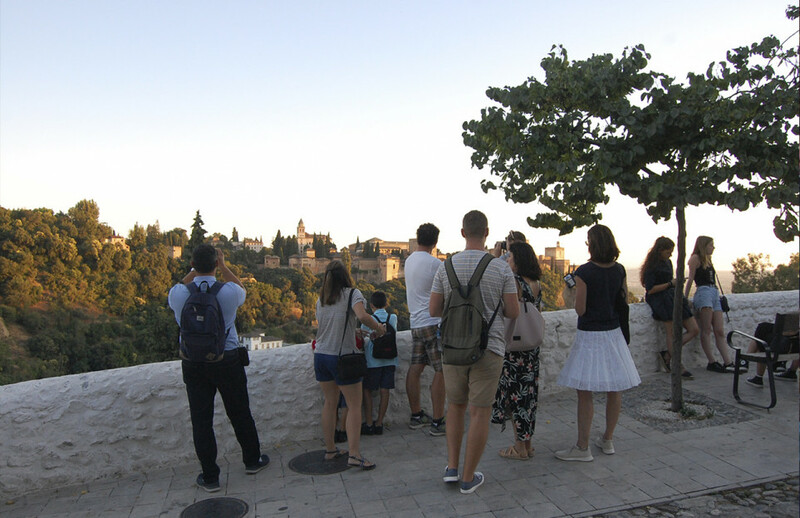 The group will have several opportunities to enjoy views of the Alhambra at different times as the evening draws on. At the end of the Albaicin walking tour, the participants are treated to a drink with a tapa, a traditional custom in Granada.